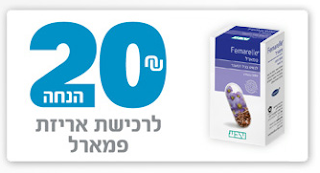 Right now, you can sign up for a 20 shekel discount coupon for "Femarelle" from Teva. I really am too young to know anything about this product, friends. So you're on your own. Sorry.